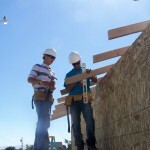 The Minico High School Construction program offers students an opportunity to explore building construction, beginning cabinetmaking, and how green technology fits into the building industry. Students can also earn credits from the College of Southern Idaho and/or a NCCER certification. 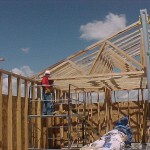 In addition, the students earn a five or ten hour OSHA Safety Certificate. The instructor, Shannon Brown, works in industry during the summers. 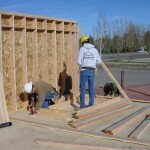 His students spend a week interning at a local lumber yard as well as doing projects in the community. Their student organization is SkillsUSA.